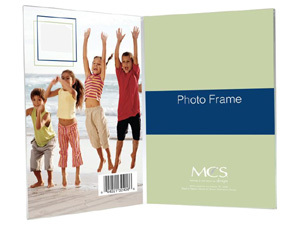 Inexpensive double vertical acrylic picture frames for displaying vertical photos on a desk or tabletop. Single, double and triple styles available. Simple and popular double 2.5x3.5 vertical style acrylic picture frame is of one piece construction and ideal for displaying pictures on a desk or tabletop. Currently out of stock (Expected 05/31/2019). Simple and popular double 3-1/2x5 vertical style acrylic picture frame is of one piece construction and ideal for displaying pictures on a desk or tabletop. This simple and popular double 4x6 vertical style acrylic picture frame is of one piece construction and ideal for displaying pictures on a desk or tabletop. This simple and popular double 5x7 vertical style acrylic picture frame is of one piece construction and ideal for displaying pictures on a desk or tabletop. Simple and popular double 8x10 vertical style acrylic picture frame is of one piece construction and ideal for displaying pictures on a desk or tabletop. These simple and popular double vertical style acrylic picture frames are of one piece construction and ideal for displaying pictures when a frame with glass is not suitable. Makes a great sign holder.